1. Make a list 12 things that you have really been itching to make. That allows one month for each item, it doesn't even matter if it takes you an hour to make something on the list. 12 items, that's all. 2. 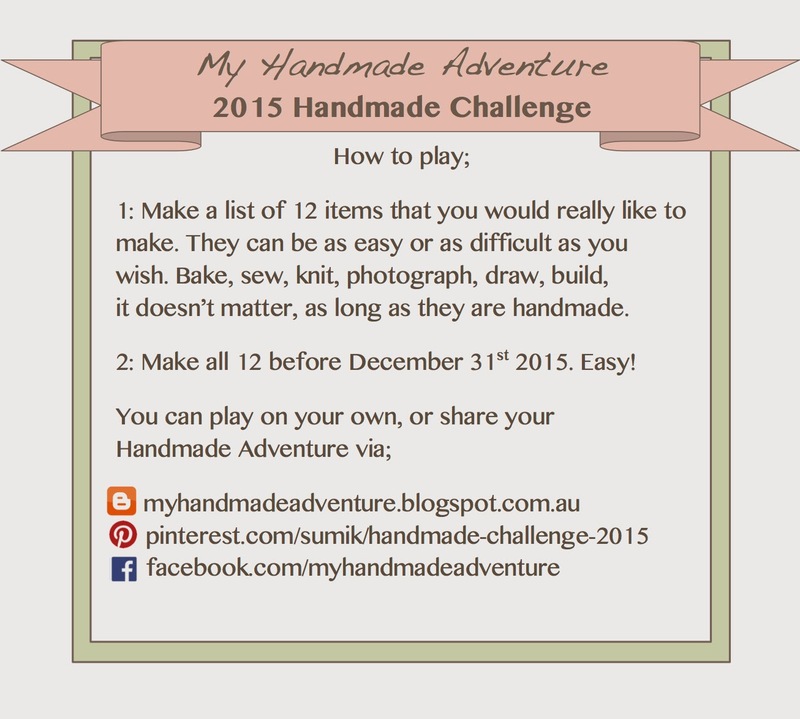 Make all 12 of them before December 31st 2015! Challenge accepted? Comment below with your list of 12 things, or post a link to your list, You can see mine here, and also on Pinterest. I'd love to have you play along. You don't need to do them in order, and they don't need to be tricky or time consuming, just handmade. How did the 2015 Challenge work out? Find out here!